The Stonehenge and enigma go hand in hand, in regards to both its structural scope and its actual purpose. However this time around historians are confronted by yet another mystery, and this quandary relates to the societal nature of Britain, circa 2500 BC, when the Stonehenge was under construction. To that end, a recently conducted comprehensive gene study of prehistoric Europe has suggested how the native gene pool of the ancient Britons was simply relegated to obscurity during the aforementioned century. This coincides with the arrival of the Beaker folk to the shores of Britain, whose genetic profiles match with the ones that lived in Netherlands during the contemporary period. It is very striking. There seems to have been a complete replacement of the original folk of Britain with these newcomers. Normally you get some older DNA surviving with a wave of immigrants, even a fairly large wave. But you don’t see that in this case. Frankly it looks more like an invasion. 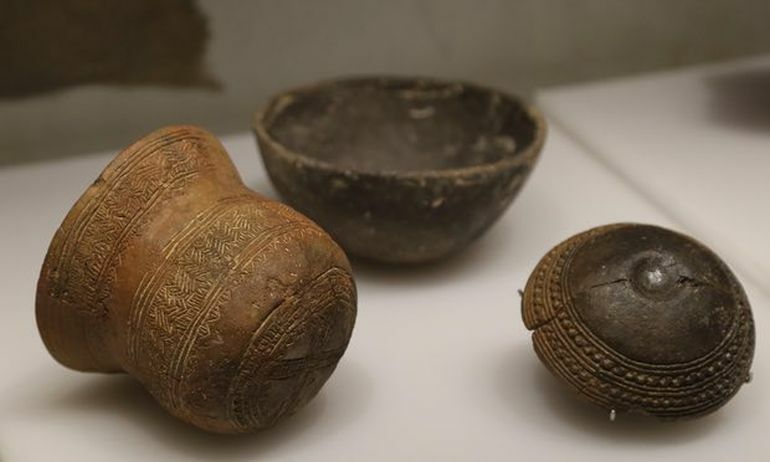 Late Neolithic–Early Bronze Age people living about 4,500 years ago in the temperate zones of Europe; they received their name from their distinctive bell-shaped beakers, decorated in horizontal zones by finely toothed stamps. The graves of the Beaker folk were usually modest single units, though in much of western Europe they often took the form of megalithic tombs. A warlike stock, they were primarily bowmen but were also armed with a flat, tanged dagger or spearhead of copper, and a curved, rectangular wrist guard. Their extensive search for copper (and gold), in fact, greatly accelerated the spread of bronze metallurgy in Europe. 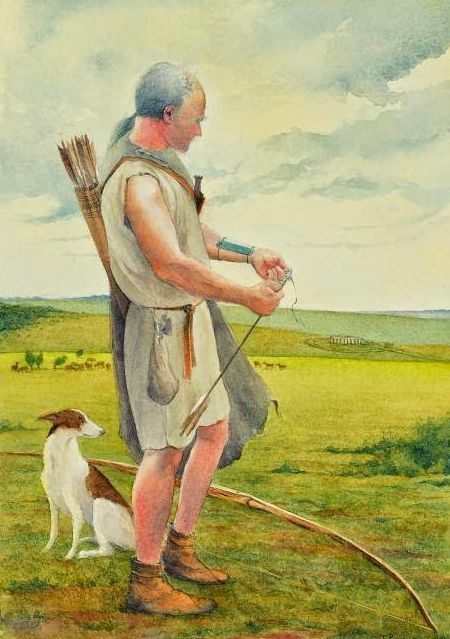 Illustration of the Amesbury Archer by Jane Brayne. 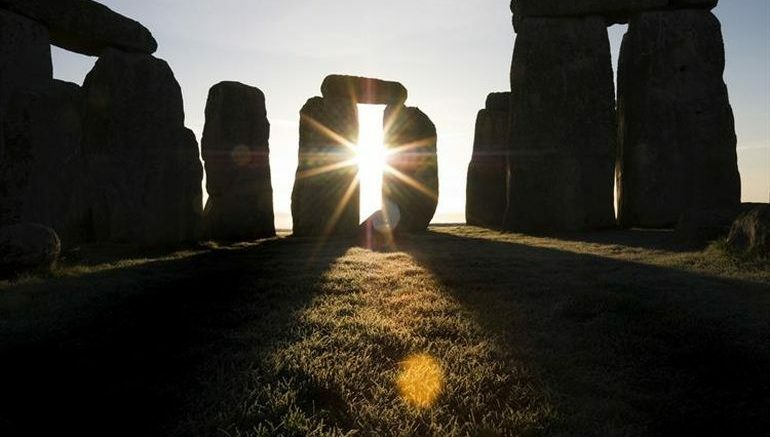 His remains were found near Stonehenge, and date from circa 2300 BC. Pertaining to the latter part, scholars are still divided on the war-like activities of the Beaker folk and their effects on the societal patterns of prehistoric Europe. For example, around 4500 years ago, there was a sudden profusion of Beaker pots in different parts of the continent – and archaeologists still debate if this was result of mass-migration (or mass-invasion) on the part of the Beaker culture. In fact, the earlier mentioned study was conducted with the aim to clear some of these perplexing issues. And one of the results of the comprehensive genome analysis (encompassing an extensive period from 4700 BC to 1200 BC) suggests that while Beaker artifacts appear along various geographical locations across Europe, circa 2500 BC, these objects were not accompanied by an overwhelming DNA profile replacement of the native people in those regions (by the Beaker folk). In essence, the spread of Beaker pots was possibly more of a fashion phenomenon rather than serious military (or migratory) interventions. However, at the same, Britain remains the exception. In the case of this island, the arrival of Beaker pots and artifacts coincide with the diminishing of the genetic signatures of the native Stone Age people, who were probably the original architects of the Stonehenge. 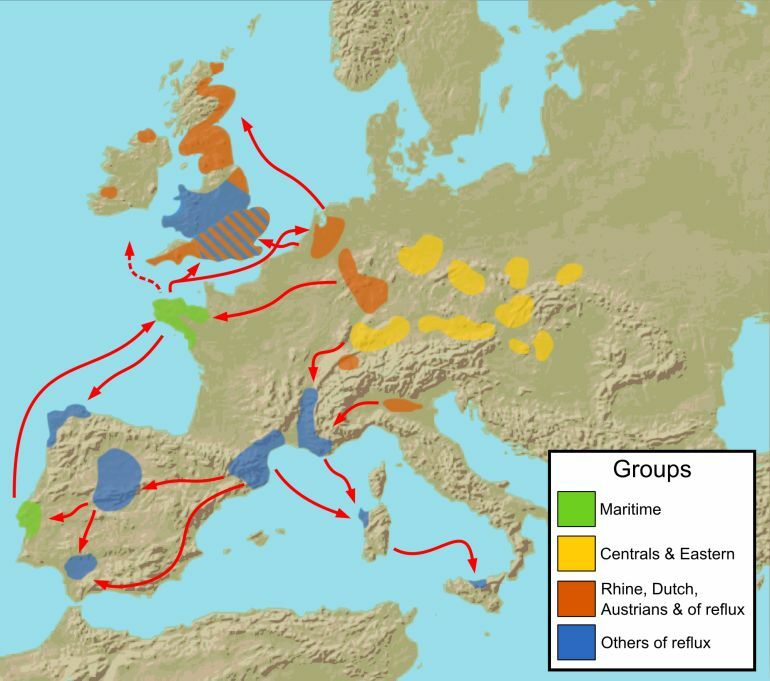 Simply put, the abundance of Beaker artifacts in Britain alludes to a scenario where continental newcomers (from a region in what is now Netherlands) possibly arrived in large groups and ‘took over’ the island from the original populace. Now it should be noted that the study doesn’t establish if this was a mass-invasion in a conventional sense, since archaeological records still don’t show any evidence of warfare and battles. There is no doubt that ancient DNA studies are redefining our prehistory, but this work is based on a fairly small sample. The conclusion that there was almost complete replacement of DNA at this time is pushing the data a bit too far. However, this has certainly triggered a renewed debate about the Beaker. We just need more data. This apparent replacement is very striking, but it is possible our results are being skewed. In particular, the introduction of cremation at this time could have destroyed bones that would otherwise have provided DNA samples and which could change results. This is certainly not the end of the story. The study was originally published in the bioRxiv online journal.